has anyone bought one the new sonik beachcasters?? are they as good as the reviews in sea angler magazine and would they be any good for newbies?? Keen to hear from somebody that's used one too (they seem bloody good value for money and a lifetime guarantee). Got a sonik 13' SK3. Multiplier version. Only used it twice so far on short trips. First time didi a lot of casting with straight lead to get the feel of it. Pretty good, but compared to what I was using before it should be better. Not a bad rod at all for the money!. Definitely OK for a newbie. No real suprises with it. Rate it so far as 3.5 out of 5 but need more time with it. Be interesting to see how it compares once all the SK4's are out? The guy at Sonic was a worker for Greys, if you notice their range it is very much like the greys range. I suppose he will know where Greys buy their blanks from. As for the life time gaurentee, only time will tell, I have 9 Greys rods and over the years I have had to use the gaurentee 4 times with no problems. The SK4 Range seems to be on an even keel to Greys. At the end of the day the more competition on the market the better for us guys. 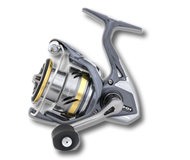 I have just purchased the new mag 7 and will be trying it out this Monday night with my Triplex 16. I will let you know how it performed as it replaced my Pen 525 supermag extra. I have got some greys fly fishing gear and clothing and to be honest you are just paying for the name . there are just as good rods on the market at half the price or less. one of my fly rods snapped sent it back to greys for them to check it out . also there clothing is not in my opinion the best on the market. I have just started back into see fishing for the winter and it is my intention to purchase a sonic rod. I have a second hand ron Thompson 13ft rod and a 12ft fladden rod and they do the job. I think you need to have a warranty on them cos I've heard of a few of them snapping and they take a slating on other forums. It is good to have but why does sonic require to give a warranty???? most manufacturers give a warranty on goods . fishing rods and reels normal 12 months, sonic give a life time warranty so I am told. so they must think there gear is worth it.